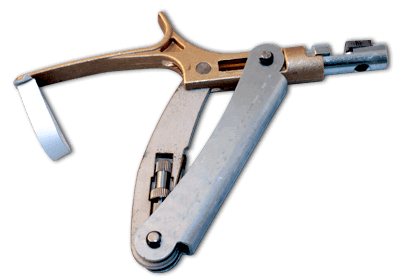 The first man-made seals were not self-locking but needed to be used with sealing pliers so that, by pressing the seal, it would stick to the string. Art. 466, also in metal but with handles secured by a plastic sheath. 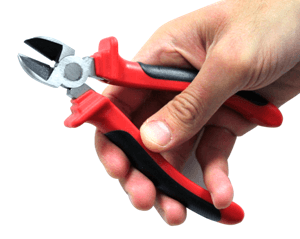 Both pliers can crush lead and plastic plumbs from 10 to 15 mm in diameter. 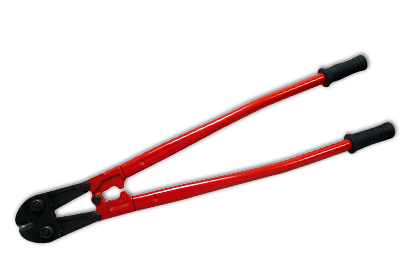 We also made sealing pliers suitable for crushing small, 5 mm diameter cylinder-shaped seals (Alluseal). 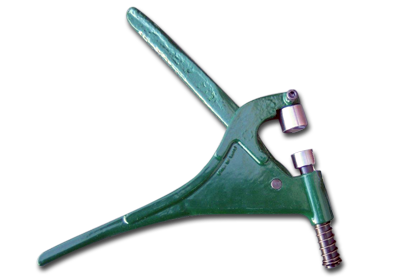 In any case if you need special sealing pliers you have invented we at the LeghornGroup are able to realize any custom project. 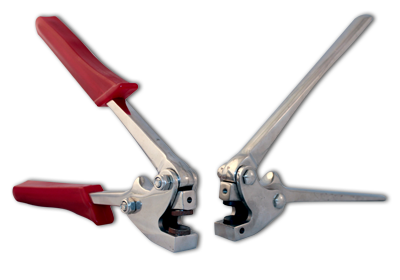 Often our customers ask LeghornGroup to provide them with sealing cutters that be suitable for removing high strength seals. 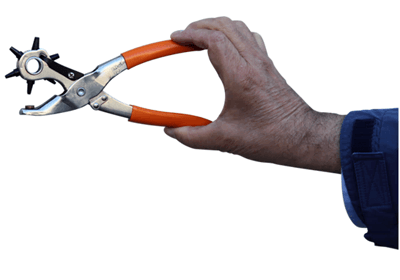 Large tcutters to remove seals with diameter up to 14 mm. 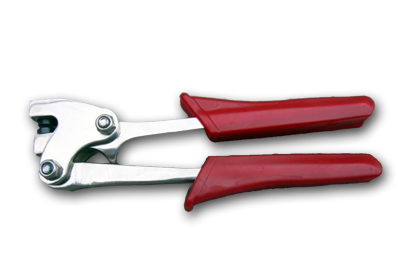 If it is necessary to remove many seals during the working day, we can also propose battery-operated electrical seal cutters. Their power is impressive. For more information, our sales team is at your disposal. Hand tool Designed to punch holes in light-weight material.